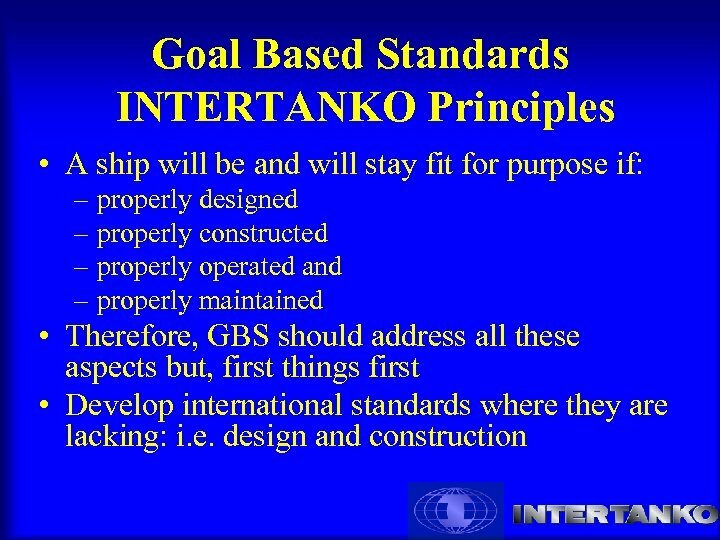 Goal Based Standards INTERTANKO Interpretation • IMO has recognised the need for statutory regulations for the ship design and for the ship construction phases. 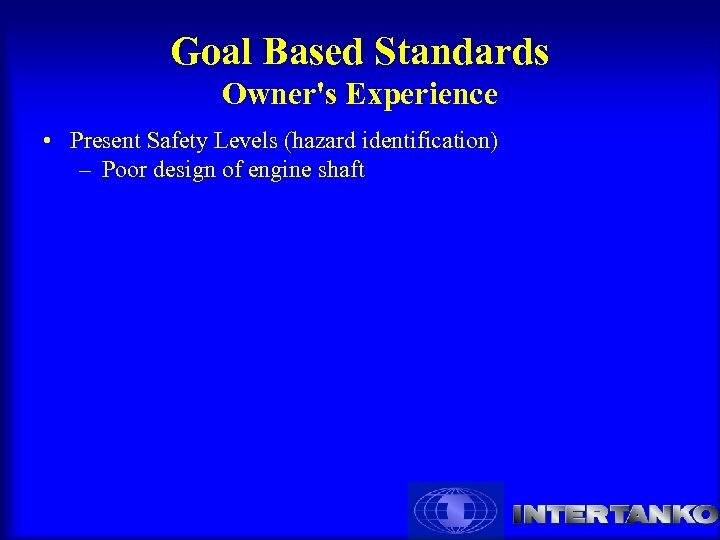 • There are no such statutory regulations. 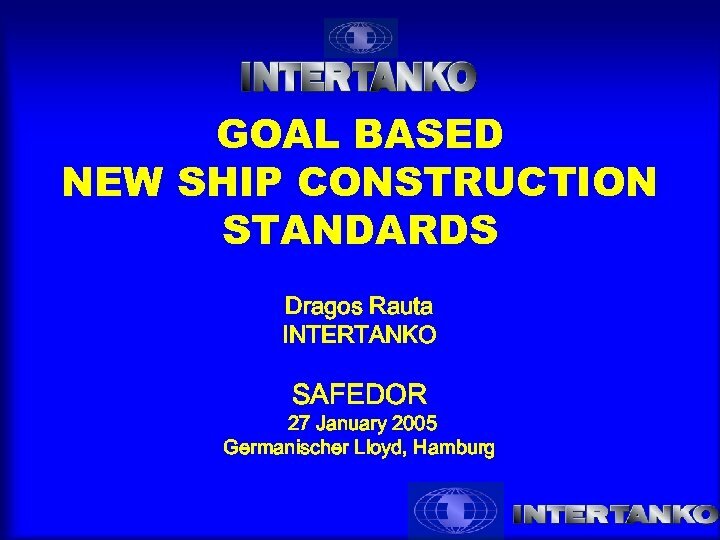 • There are no international standards for the construction of ships. 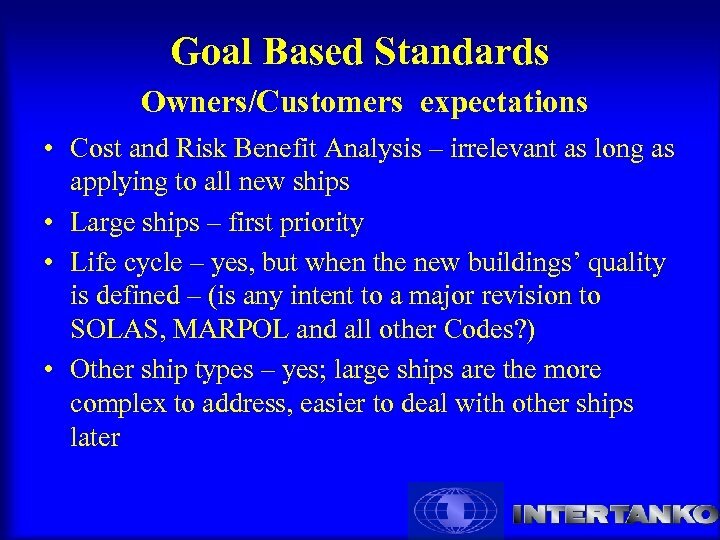 • There is no unique and well defined standard for survey of new buildings. 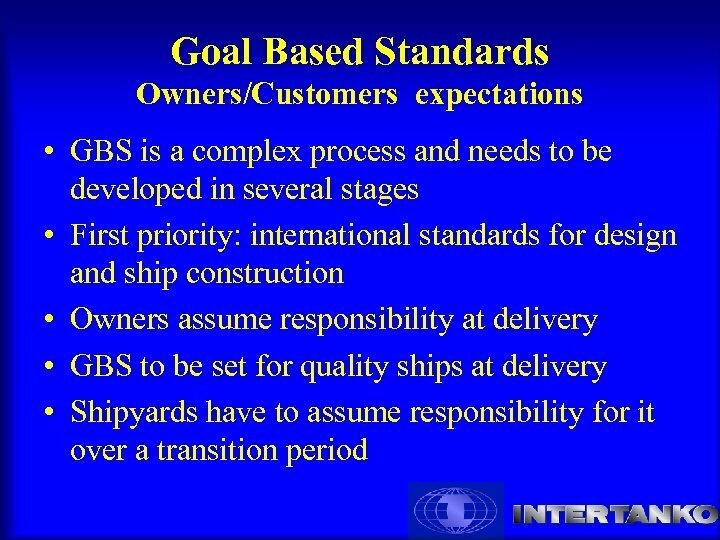 • Class develops CSR for some ship types that can be ”accorded” to the GBS principles. 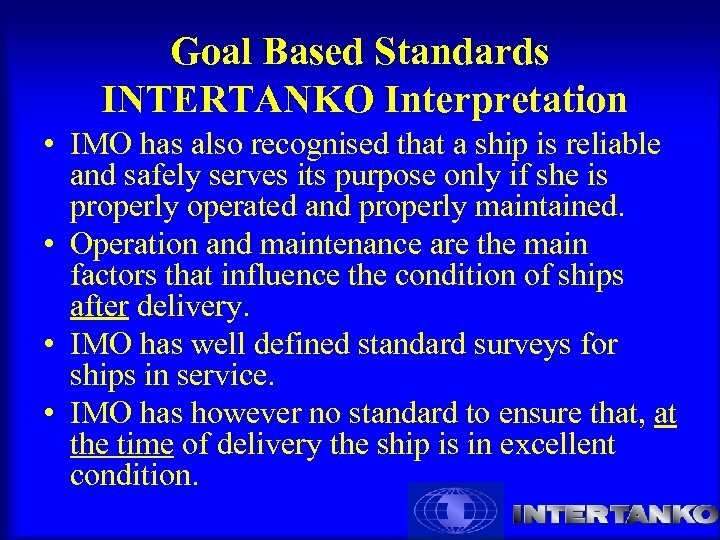 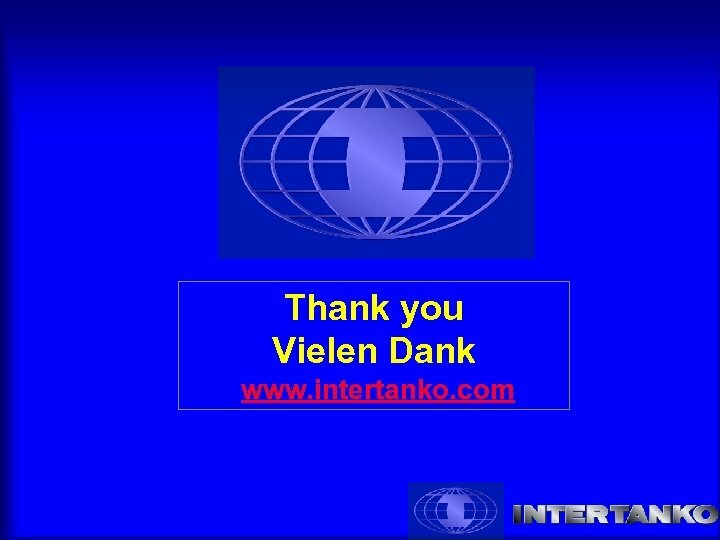 Goal Based Standards INTERTANKO Interpretation • IMO has also recognised that a ship is reliable and safely serves its purpose only if she is properly operated and properly maintained. 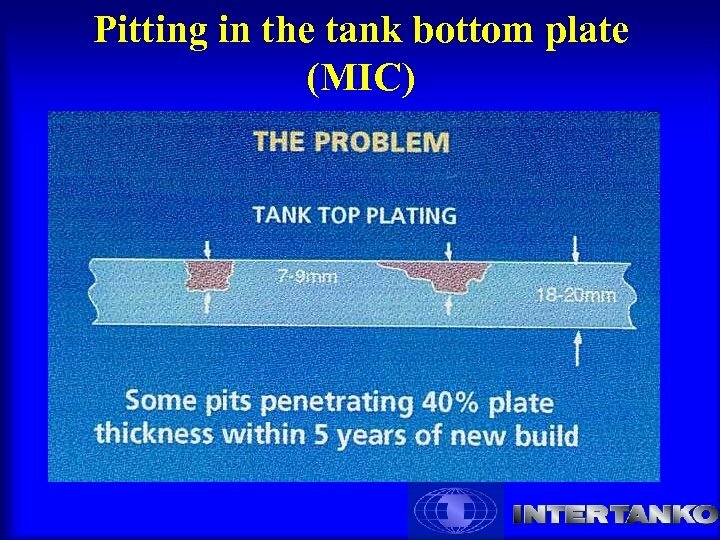 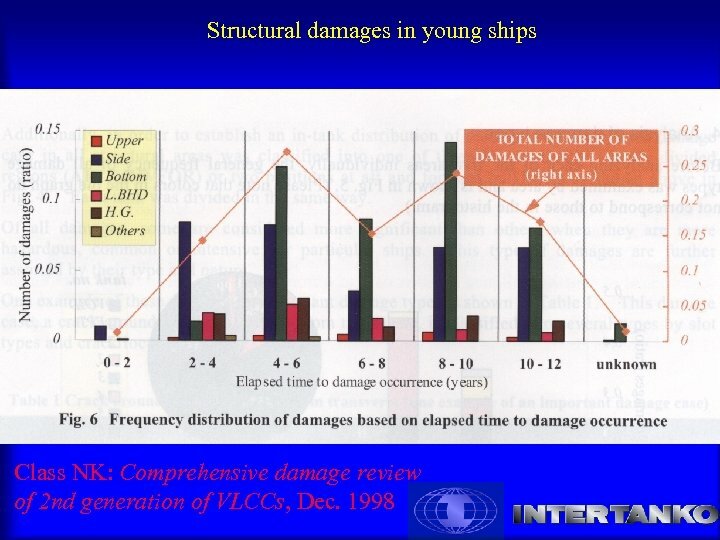 • Operation and maintenance are the main factors that influence the condition of ships after delivery. 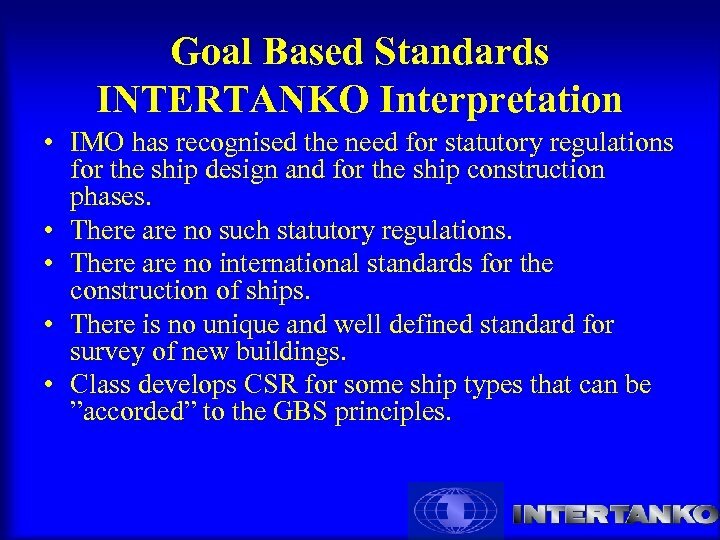 • IMO has well defined standard surveys for ships in service. 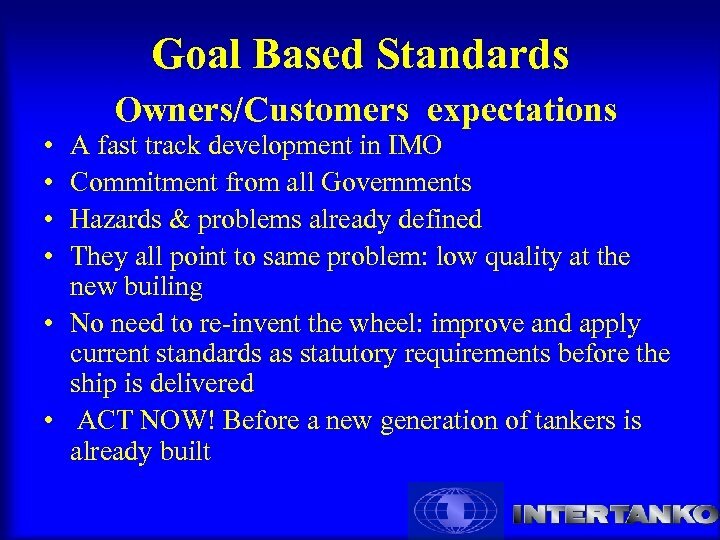 • IMO has however no standard to ensure that, at the time of delivery the ship is in excellent condition. 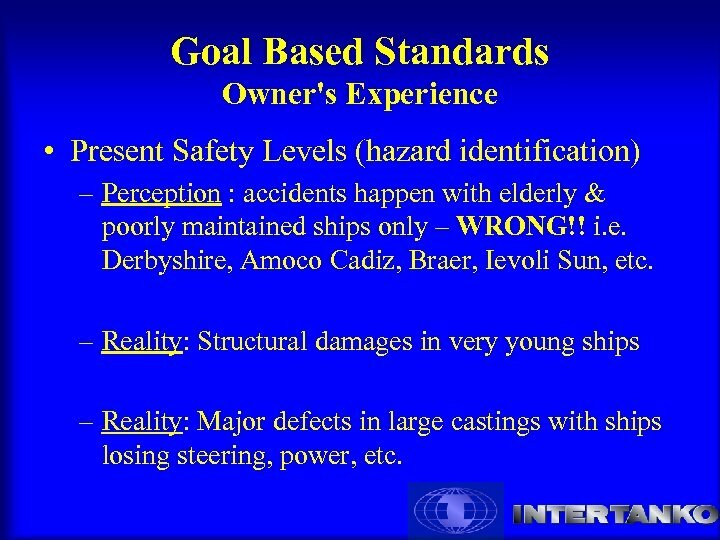 Goal Based Standards Owner's Experience • Present Safety Levels (hazard identification) – Perception : accidents happen with elderly & poorly maintained ships only – WRONG!! 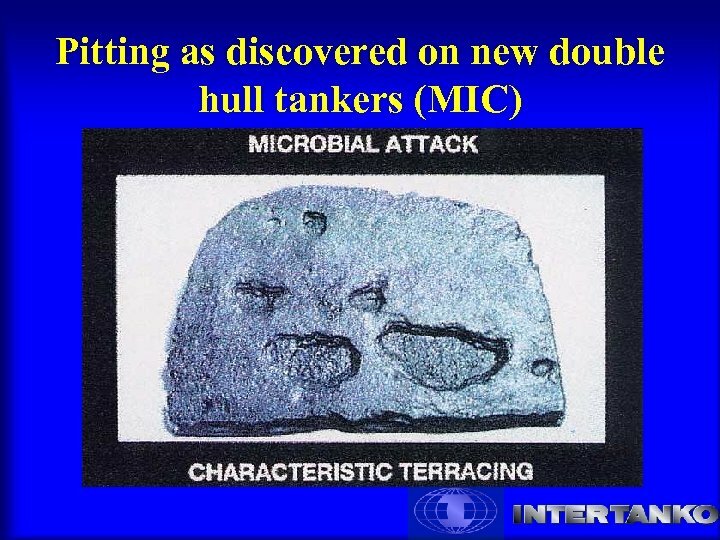 i. e. Derbyshire, Amoco Cadiz, Braer, Ievoli Sun, etc. 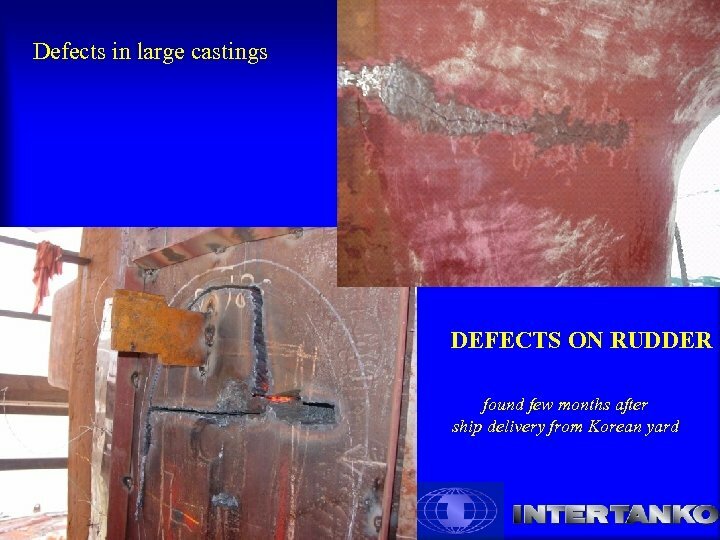 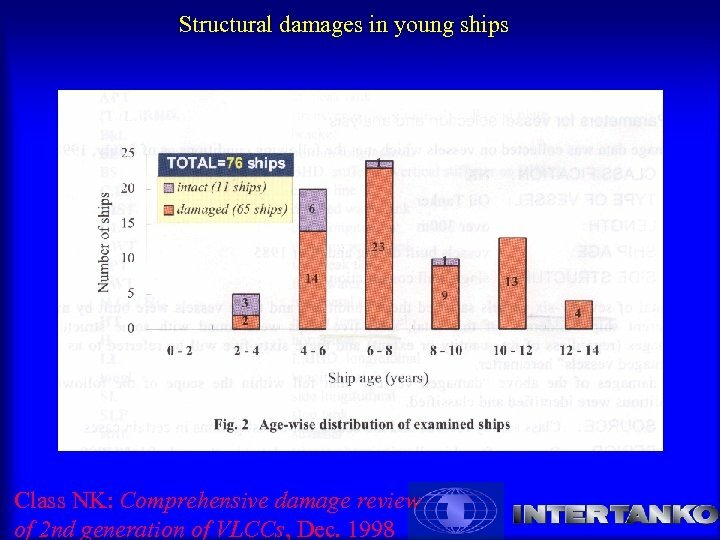 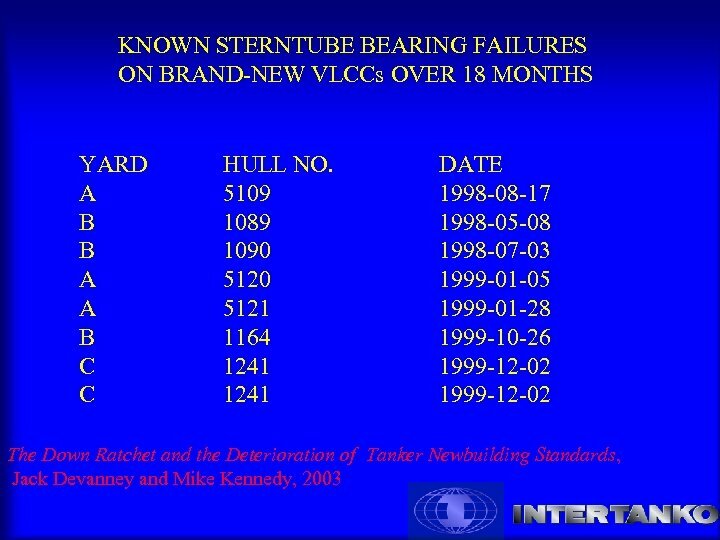 – Reality: Structural damages in very young ships – Reality: Major defects in large castings with ships losing steering, power, etc. 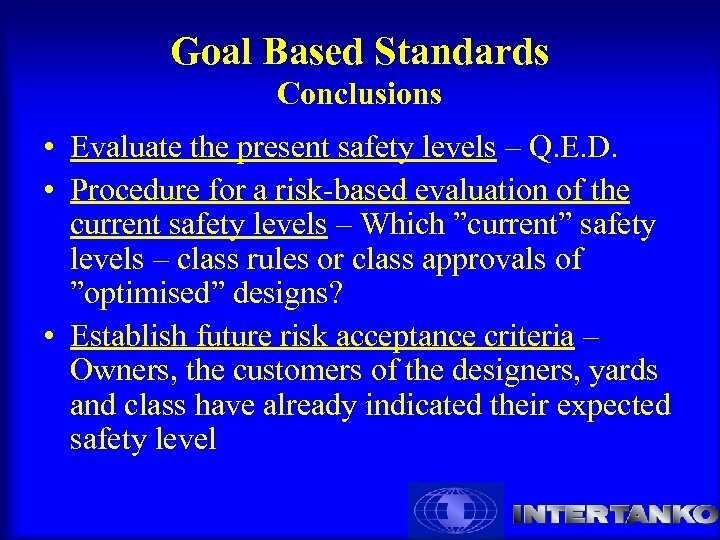 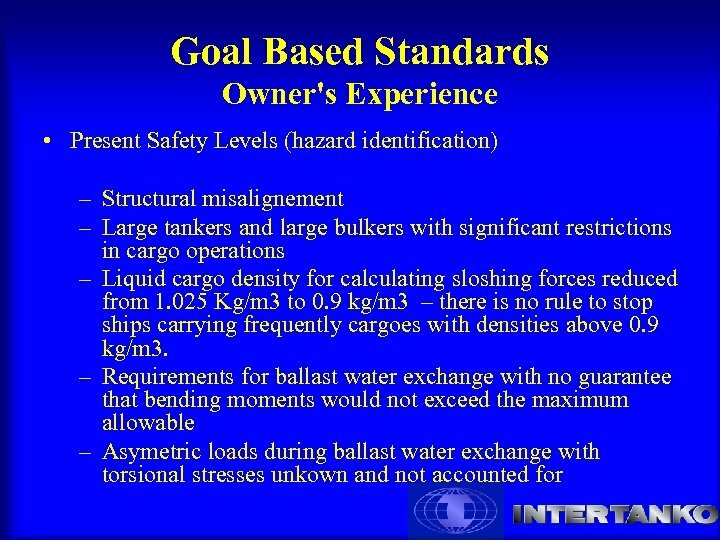 Goal Based Standards Owner's Experience • Present Safety Levels (hazard identification) – Mandatory regulations for flooding scenarios which the ship’s structure will not withstand! 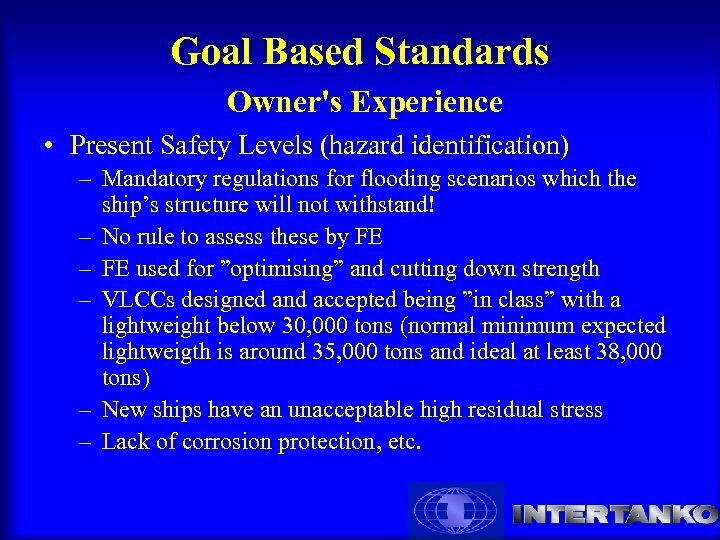 – No rule to assess these by FE – FE used for ”optimising” and cutting down strength – VLCCs designed and accepted being ”in class” with a lightweight below 30, 000 tons (normal minimum expected lightweigth is around 35, 000 tons and ideal at least 38, 000 tons) – New ships have an unacceptable high residual stress – Lack of corrosion protection, etc. 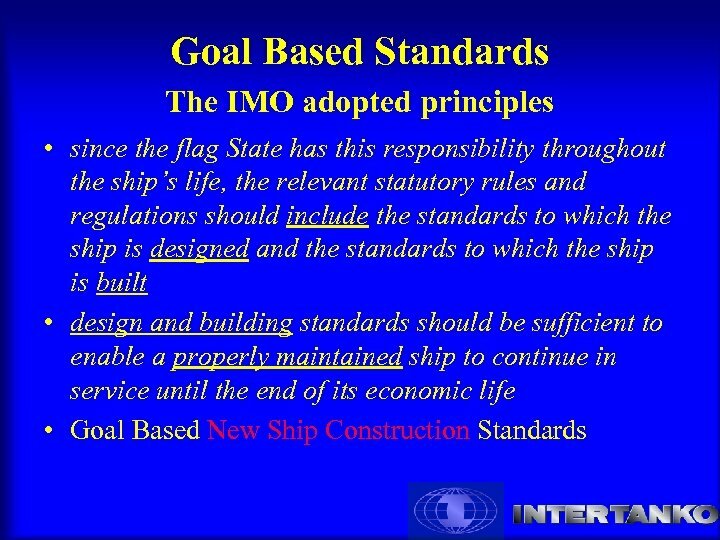 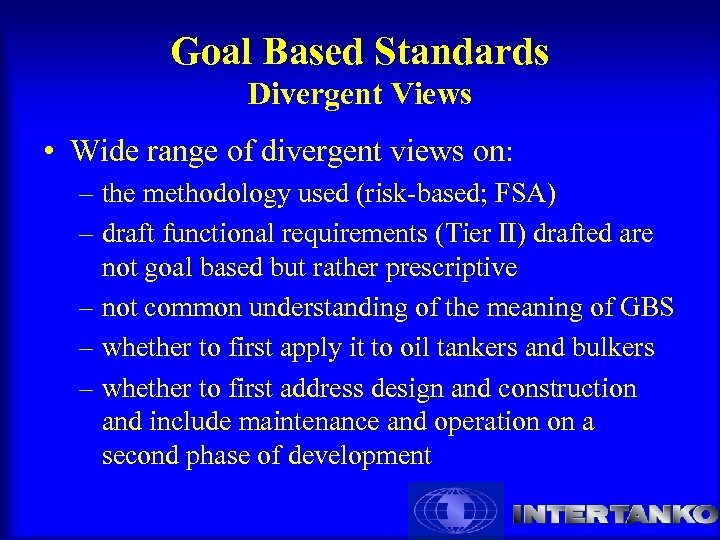 Goal Based Standards Conclusions • However, some Governments want to link the optimum design life of a ship as function of the interest rates at the time of the ship’s construction ? ? 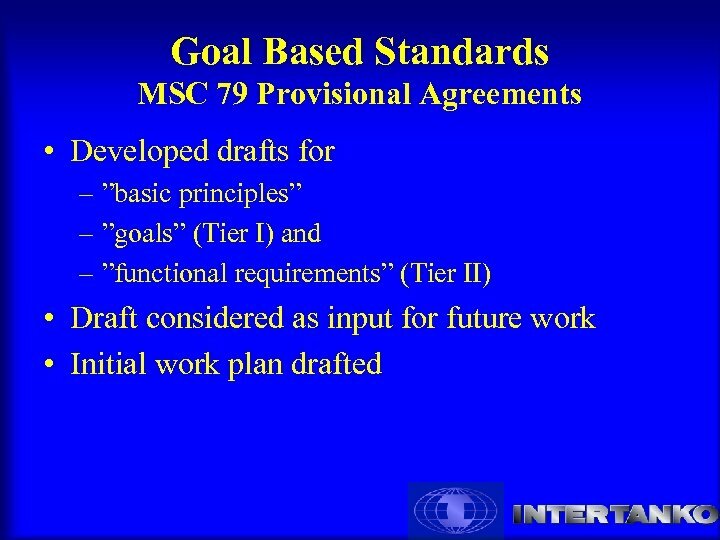 (MSC 79/6/15) • Some Governments want to use FSA to establish GBS but FSA is just a tool and not a decision making system. 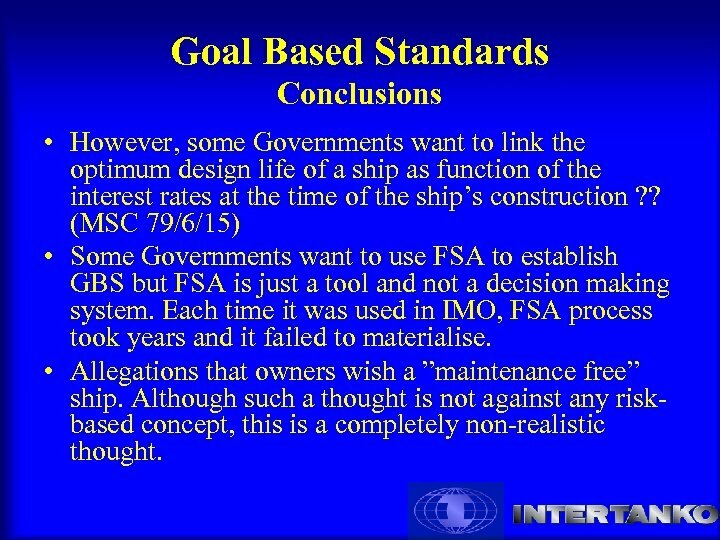 Each time it was used in IMO, FSA process took years and it failed to materialise. 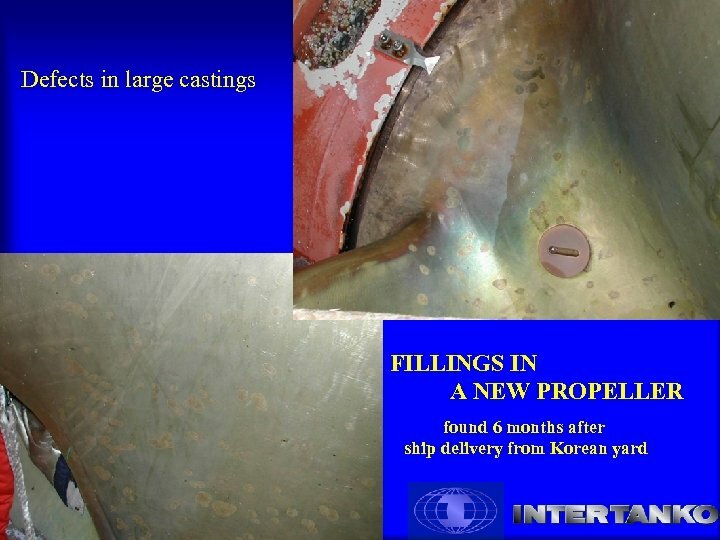 • Allegations that owners wish a ”maintenance free” ship. 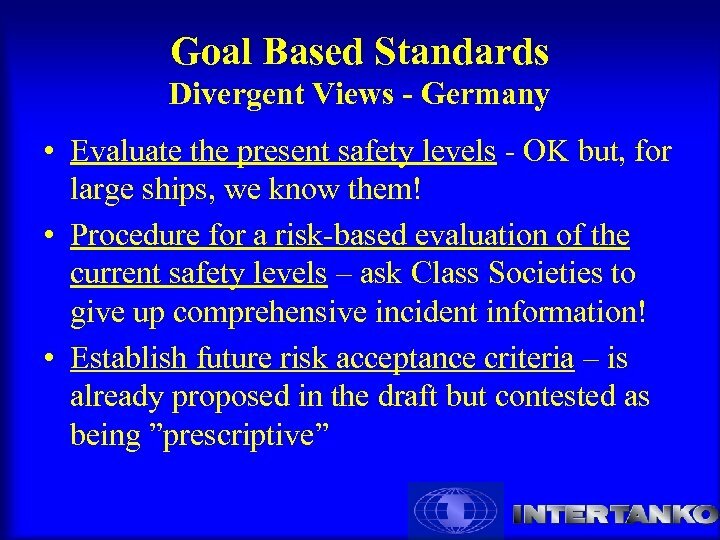 Although such a thought is not against any riskbased concept, this is a completely non-realistic thought.